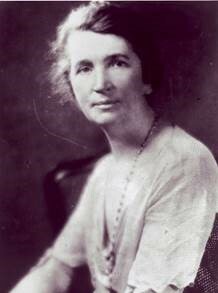 Margaret Sanger (1879-1966) was the principal founder and lifelong leader of the American and the international birth control movements. The Margaret Sanger Papers covers every aspect of the birth control movement, including the movement’s changing ideologies, its campaign for legitimacy and its internal conflicts and organizational growth. These papers also provide significant insight on the history of changing attitudes towards women’s roles and sexuality, and have significant research value to the fields of women’s history, social and intellectual history, medicine and public health, religion, and world economic development, among others. Margaret Sanger Papers, Collected Documents consists of a considerable amount of Margaret Sanger's outgoing public and private correspondence as well as essential early documentation of her work with the American Birth Control League, which she founded in 1921, and which later evolved into the Planned Parenthood Federation of America. This collection also contains records tracing Sanger's international work in the 1920s and 1930s and her later role in helping to found the International Planned Parenthood Federation. Margaret Sanger Papers: Smith College Collections consists of a considerable amount of Margaret Sanger's personal papers and records of the birth control movement. Beginning in 1946 and continuing until her death in 1966, Sanger contributed to the Sophia Smith Collection at Smith College, in Northampton, Massachusetts, a historic trove of documents related to birth control, women's rights, suffrage, feminism, reform and social work, arts, and middle-class family life. In addition to contributing her own papers to this collection, Sanger encouraged friends, family, and co-workers in the birth control movement to donate their papers. by Peter Engleman, an associate editor of the Margaret Sanger Papers. by Ester Katz, Research Scholar and adjunct Faculty at NYU. Court case arising from arrests of Sanger, Ethel Byrne and Fania Mindell for opening the Brownsville Clinic in October of 1916. Raid of public meeting on birth control at New York City's Town Hall on November 13,1921 in which police suspended the meeting and arrested Sanger for disturbing the peace. Test case of postal obscenity laws challenging the legality of confiscation by customs officials of a package of pessaries sent from Japan to Dr. Hannah Stone. contains "Superwoman--An Idea for a Movie" (1914 or 1915); typed manuscript copy of Woman and the New Race (1920); and manuscript copies of Happiness In Marriage (1926). contains 15 editions of Family Limitation (1914-1931 and undated); The Suppressed Obscene Articles, a collection of articles from the Woman Rebel (1914); and other pamphlets including Dutch Methods of Birth Control, English Methods of Birth Control, and Magnetation Methods of Birth Control (1915); Debate on Birth Control: Margaret Sanger v. Winter Russell (1920); Appeals from American Mothers (1921); and Woman, Morality and Birth Control (1922). Also includes an introduction to For Legalized Birth Control (1934); and Questions and Answers about Birth Control (no date). Sanger's indictments for violating the Comstock Act in publishing The Woman Rebel; attorney's briefs and correspondence; and the nolleprosequi filed by the U.S. Attorney. Also includes a large number of letters written to President Woodrow Wilson on behalf of Sanger. Court case and appeals arising from arrests of Sanger, Ethel Byrne, and Fania Mindell for opening the Brownsville Clinic in October 1916. Includes records of unsuccessful appeal to U.S. Supreme Court.